antidepressant medication into language that can be used to enhance an understanding of depression, and to personalize individual cures. Yapko uses a conversational, anecdotal tone that encourages readers to take an active approach to helping themselves. Special sections entitled "Learn by Doing" and "Shifting Perspectives" help develop the skills necessary to manage difficult experiences. Readers learn how to solve problems effectively, anticipate the likely consequences of their actions, think and act in a direct, goal-oriented fashion, balance different areas of their lives, and use self-knowledge to stay out of harmful situations. 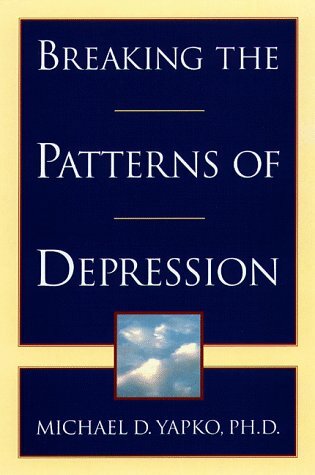 More realistic and helpful than other depression-management books on the market, Breaking the Patterns of Depression defines what causes depression and, best of all, clarifies what can be done about it. With this knowledge in hand, readers can control their depression, rather than having depression control them. Guilt and Responsibility: Is It You? Or Isn't It?